While others were busy developing 12-speed groups, Rotor leapfrogged its competitors, launching the wide-range Rotor 1x13 hydraulically controlled transmission. The post Rotor 1×13 drivetrain fit for any bike appeared first on Mountain Bike Review. 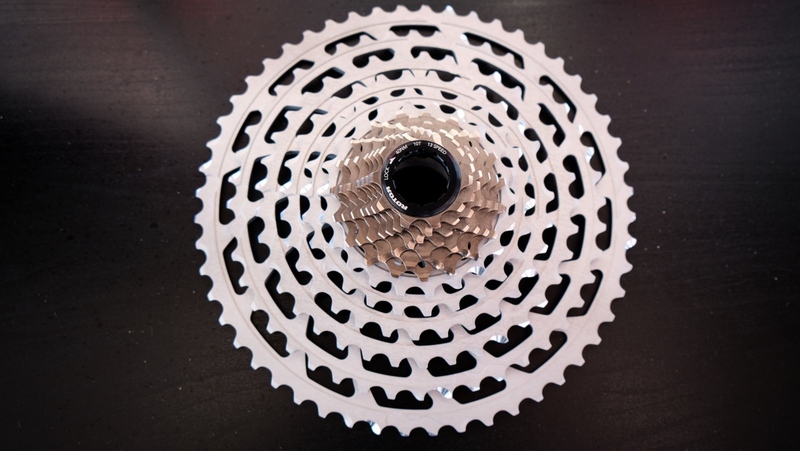 The widest-range Rotor 1×13 cassette has a 10-52t spread and a total range of 520%. While SRAM and Shimano were busy developing their 12-speed groups, Rotor opted to leapfrog its competitors by launching a wide-range 13-speed drivetrain. The Rotor 1×13 transmission is hydraulically controlled and can be configured for use on mountain, gravel, or road bikes. There’s no denying that Rotor faces an uphill struggle against drivetrain Goliaths Shimano, SRAM, and to a lesser extent, Campagnolo. As such, the Spanish component manufacturer has to pick and choose its battles. Its underdog tactics are reflected in the design of its new drivetrain. 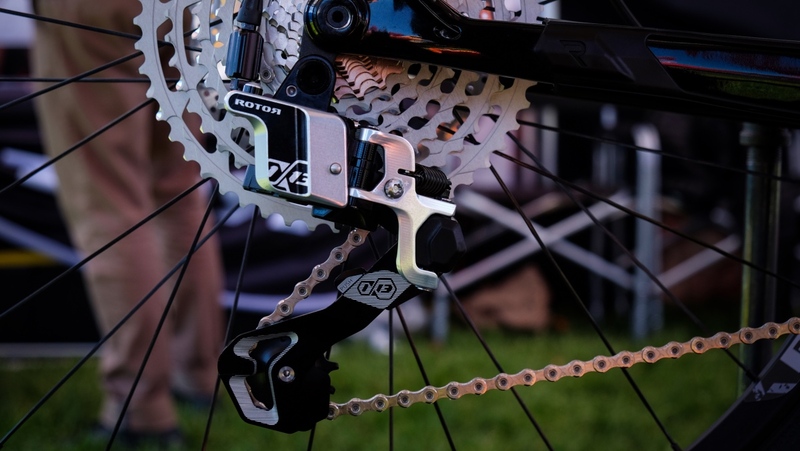 Rotor’s derailleur is designed for use with road, gravel or mountain bikes. Nowhere is this more evident than in the use of hydraulics, rather than cables or electronically-controlled servos to operate the drivetrain. To put it plainly, there are far fewer patents surrounding hydraulically-actuated drivetrain components to wade through. If you don’t have a team of lawyers on retainer, it’s best not to tempt fate by walking through Shimano and SRAM’s patent minefields. Unlike other drivetrain manufacturers, Rotor does not have dedicated road and mountain bike groups. The company’s rear derailleur is designed to function on the trail or tarmac. The rest of the drivetrain can be configured for use with a 10-36t or 10-39t cassettes for road, a 10-46t cassette for gravel, or the 10-52t cassette for mountain biking. From there you pair it with the chainring and cockpit set-up of your choice. Rotor’s 13-speed cassette has more manageable steps between gears than some 12-speed cassettes. Rotor didn’t attempt to develop an entirely new chain for this new group. The 13-speed group is designed to work with an easily-sourced KMC 12-speed chain. 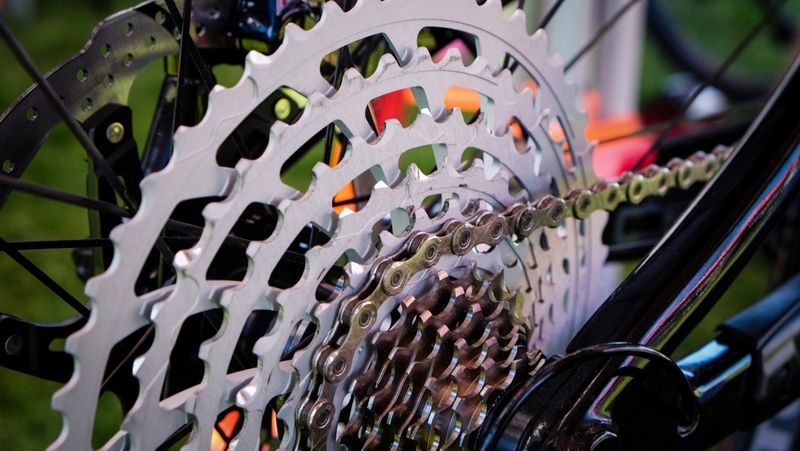 Are you wondering how a 12-speed chain works with a 13-speed cassette? It’s because the cog spacing is the same as 12-speed drivetrains. With limited real estate to work with, a compromise had to be made somewhere. Rotor’s solution was to develop a rear hub with a longer freehub body and 3mm narrower spacing between the hub flanges. The derailleur can also be used with Rotor’s 12-speed cassettes, which are also compatible with a Shimano HG freehubs. Using hydraulics, rather than steel cables or electronics, certainly poses a new set of challenges, such as the need to bleed your drivetrain. But with it comes new features. The system itself uses piston at the lever to push fluid through the hose. The derailleur’s spring acts as a return, forcing the fluid back through the line. Rotor’s derailleur can be configured for 12- or 13-speed drivetrains. 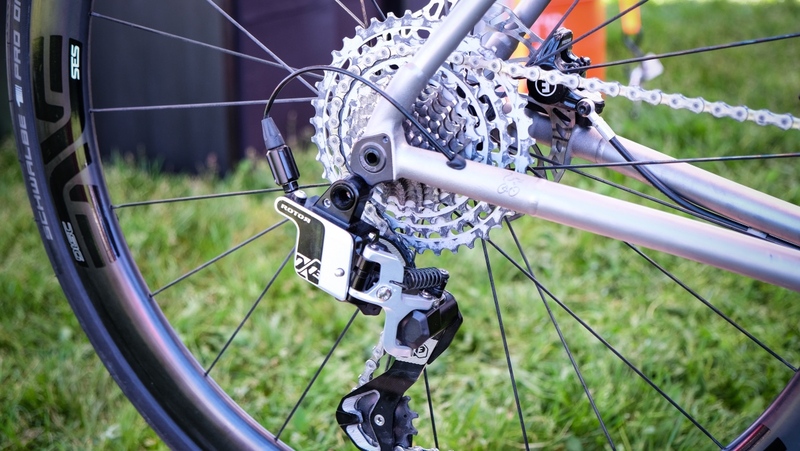 The derailleur features a fine-tune adjustment as well as an interesting “Return to Origin” button that drops the derailleur into the 10-tooth cog. The derailleur’s cage has a Quick Extract mechanism that disengages the clutch system. Both of these technologies could be very useful for quick wheel changes. Pricing for this 1×13 group will start at $2800. Rotor expects to have all the components of the group available for purchase later this year. To learn more visit rotoramerica.com.